The 2018 Norman Main Street Christmas Holiday Parade will feature bands, floats and horses beginning at 6 p.m. Dec. 8. 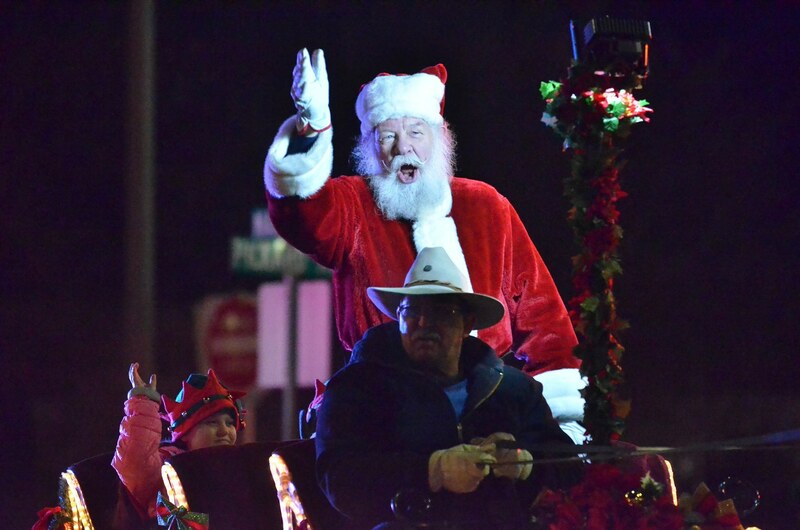 Set in a festive spirit complete with a variety of Christmas characters, this annual holiday parade will also feature an appearance by the man of the month, Santa Claus.The parade takes place in Downtown Norman, stretching across Main Street beginning at Pickard Ave. Awards will be presented in each of the following categories: Best overall entry, Most unique entry, Best entry featuring children, Best entry featuring dance/movement, Best use of theme, & Best entry featuring music. Joe Siano joins a list of prestigious grand marshals including George and Barbara Henderson, Andy and Karen Rieger, Barry and Becky Switzer and Ed and Lin Copelin. In addition to the Sianos, the parade will feature a variety of vehicles and entries, including Santa Claus riding in a carriage. Photos with Santa will follow at First Fidelity Bank. ~ Caleb Slinkard, Norman Transcript Editor. E. Main St. and Jones Ave.